As a main specialty, at RustyBrick we have the experience and knowledge to maximize your website's potential through advanced marketing technologies. RustyBrick has the experience and know-how when it comes to integrating and building technology for your marketing initiatives. We build dynamic and reliable tools that help you connect to your customers and earn more revenue from your platform. We have hard working, devoted developers with the skills to make the perfect website for your business. Your site is designed and built at one location by a single team. This method ensures that all your efforts match and communicate without loss. Within our primary marketing services, we are experts in several specialties which help further your marketing efforts. These specialties help us offer you a comprehensive package. 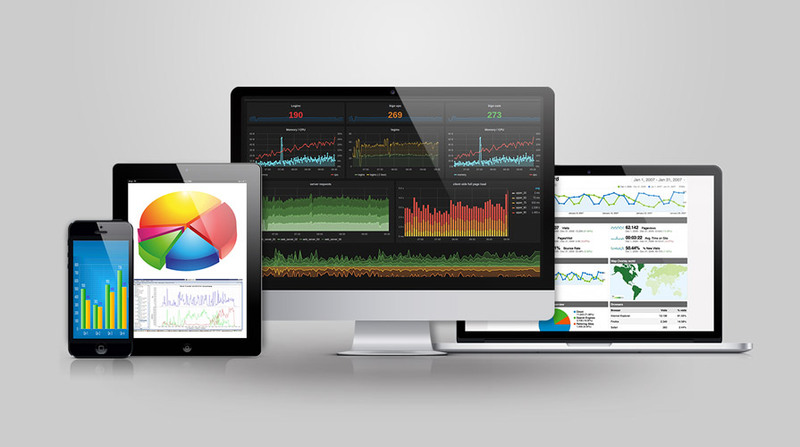 Integrate your preferred analytics software into your web site or application. We have the experience and knowledge to maximize your website's potential. By implementing web and application tracking, you can fully understand how your web site visitors use your web site and how to make improvements over time. Imagine if you can improve your conversion rate on your web site from 2% to 10%, how much of an impact would that make on your annual revenues? Conversion optimization is the process of implementing new optimization techniques and testing to see which test converts the highest. We can help you implement conversion optimization tools to help your business succeed. People who visit your web site or application once are often seen as an optimal lead. Showing them ads, retargeted/remarketing ads to remind them about your services and products is a good way to increase sales. But make sure you implement your remarketing ads correctly or you can be throwing money out the window. This is one of the oldest but still most utilized form of online marketing - email marketing. RustyBrick has the experience of integrating third-party email marketing platforms into your web site or software, as well as building out a custom email marketing application tailored to your business requirements. Mobile is a huge topic in the age of iPhones and Android phones, including wearable devices. From having a mobile-friendly web site, to enabling push notifications within apps, Google app indexing and indoor GPS through iBeacons - RustyBrick can help you with your mobile marketing technology needs. RustyBrick has the know-how and expertise to build your front-facing web site in a search engine friendly manner. Be it XML sitemaps, search engine friendly design, SEO consulting through Barry Schwartz or implementing paid search technology into your platform - learn how RustyBrick can help you.